Strangelette has a Kickstarter campaign up for their Cyberpunk Soundtracks, a set of songs for all of you hackers and runners out there for while you play your favorite net-games. 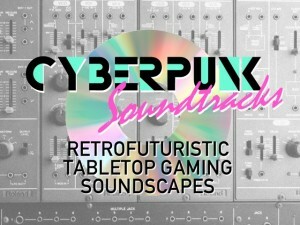 Cyberpunk Soundtracks is a collection of retrofuturistic tabletop gaming soundscapes, sound effects and songs to set the mood and inspire creative gaming sessions for cyberpunk and science fiction themed games like Shadowrun, Android, Netrunner, Cyberpunk 2020, CyberSpace or futuristic miniatures games like Heavy Gear, Warhammer 40K, Battletech etc. (no endorsement implied, theses are just examples of games that might be aurally enhanced by this project).